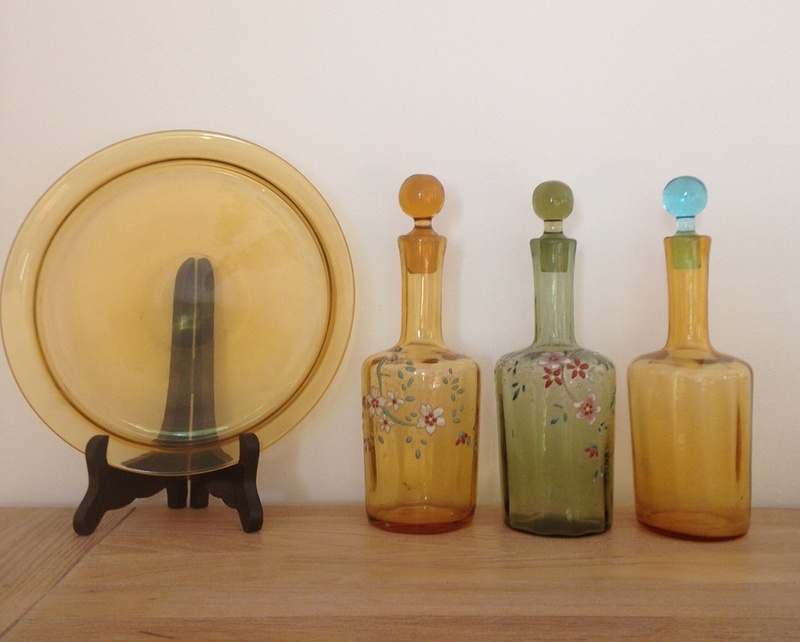 In Art Nouveau > Show & Tell and Art Glass > French Art Glass > Show & Tell. 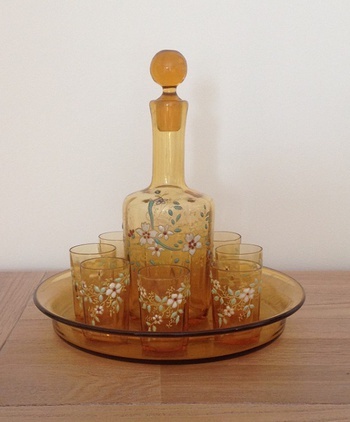 liqueur glass, decanter and platter of the model "Zanzibar". 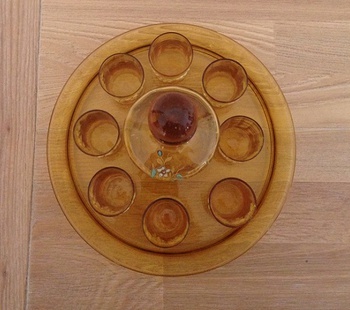 There is 8 little glasses, the decanter and the platter so he is full and this is quite rare. 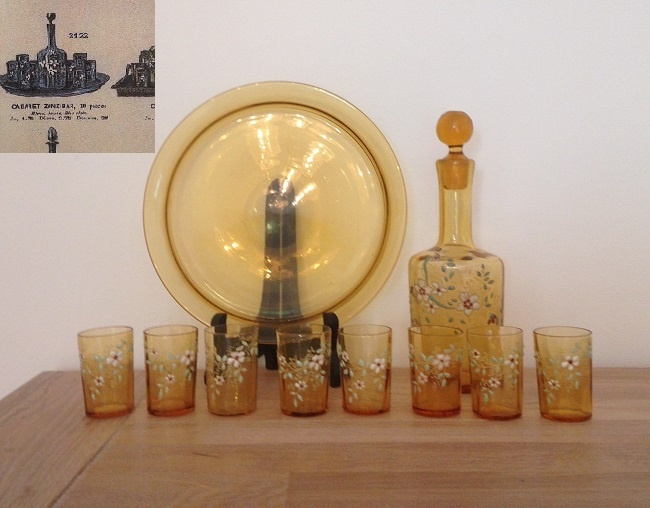 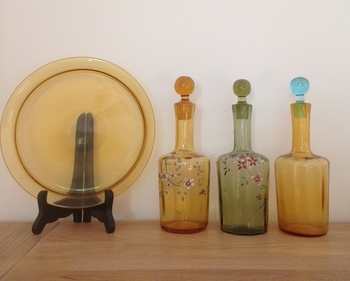 the glass is "antique yellow" (jaune antique) with enameled flower.